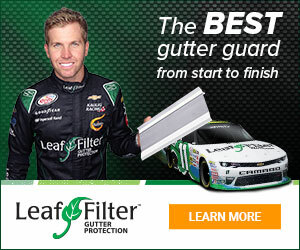 LeafFilter North - Extremely Over Priced!! Sep 05, 2016 Hi there - I am sorry to hear that you were dissatisfied with our sales demonstration. We can assure you that each and every demonstration is no-obligation. We make it our mission to provide our customers with the best possible price. Our managers are able to provide extra discounts and promotions which are sales team are not authorized to give. My wife and I went to our cities annual art fair. At the event we stopped by a booth which was showing Gutter Protection. The lady at the display suggested that we fill out a card to get a "FREE NO COST & NO OBLIGATION ESTIMATE". Too day's later we were called by: LEAF FILTER for our estimate. The Salesperson was only 48 hours late, and was very,very, HIGH PRESSURE!!. He was extremely unhappy that we didn't sign up for his price $ 3,644.00 (152 ft.) of high priced protection! The next morning we were called by LEAF FILTER'S regional manager and he offered a total price including all taxes of $ 1672.00 WOW DON'T BUY FROM THE FIRST GUY, SAVE BIG MONEY WAIT!! Review #540203 is a subjective opinion of User540203. I don't belive you. You cant even spell two corectly. Why would you have them come to your home and not expect them to get you to buy. You arent very smart. If you can't afford that you must be poor. Poor people should clean there own gutters and not bother hard working sales reps with there *** inquiries. Get a life or a real job loser.